As we close out the weekend, I'm reflecting on all the sweetness we were blessed to pack into it. Some weekends are like that. The kiddos don't fight as much, things get done, memories get made and life feels pretty amazing. This was a rare weekend like that. We came home with pumpkins to carve and the kiddos are working on that as I type this right now. Do y'all ever read through the parable of the pumpkin when you carve them? It's amazing. We do it each year, and it's such a great way to share a deeper meaning to something like scooping the yuck out of a pumpkin. It's been a gooooood weekend, and here it is, in photos, so come along and bask in the memories with me. This leaf was suspended, mid-air, by a spider's thread of silken web. My babies. One of who is standing on tippy toe to be closer to my height. Maple leaves bigger than your face. This one and the kitties. Oh how she wants one! Purple berries. I photographed it just because they were something I'd never seen. Love these smiles. Cousins are so special. And that was my weekend dear friends. A and J are looking more and more grown up everyday. It goes by so fast, doesn't it? Thanks for sharing your sweet family with us. I never carved a pumpkin until about seven or eight years ago with my kids. Their first time too. Lots of fun. I have never had roasted pumpkin seeds either. I hear they are yummy. : ) Do you roast yours? So glad you were able to get all your garlands done and will be able to enjoy your family during the holiday season. You are such a blessing and it's always a joy to stop by your blog. Hugs to you sweetness. Have a blessed week. those leaves!!! we don't have those here. keep the autumn colors coming - i love these pictures. and your NAILS! They (your children) are getting so big! Beautiful shots! Awww, what fun. We had cousin time this weekend too. Special memories were made! I love this Sasha! What fun! Your daughter's hair looks so sweet! Her big beautiful eyes just twinkle!!! That huge maple leaf....that need to be pressed and framed!!!! And might i add that I think we have twin dahlias???? I LOVED seeing some of those pictures on IG this past weekend, while I sat there freezing at the CLF. :) Those leaves....they are HUGE. I showed that pic to Andy....and we both agreed! We HAVE to visit the PNW. HAVE to. Your photos always capture such wonderful memories, Sasha. What a lovely weekend with your family. Your fall photos are beautiful. The pic of the children sitting on the pumpkin is perfect. I hope you print it out and frame it. Have a wonderful week. 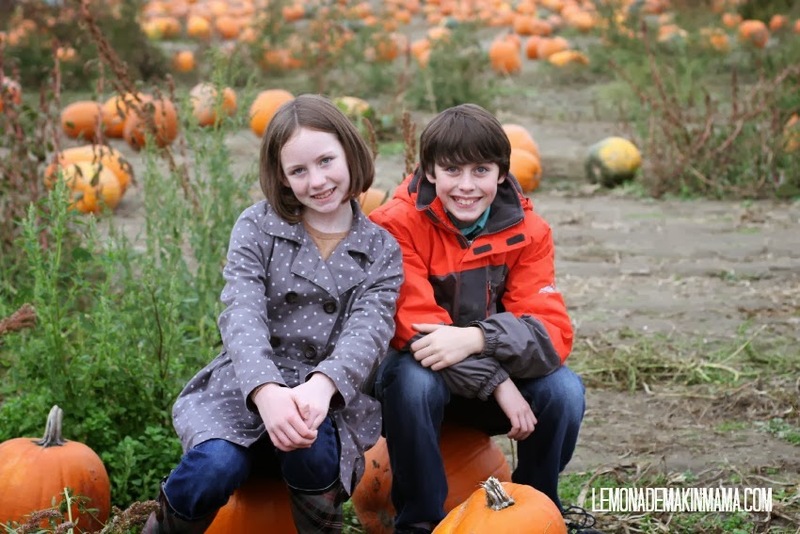 Beautiful photos of fall and your family!! we are doing our nature fall walk Wednesday Lord willing. it's a half day. sad I have to schedule it in:/ love ava's hair. I noticed it right away on IG. Tell ma about your lens... you pictures are awesome!! 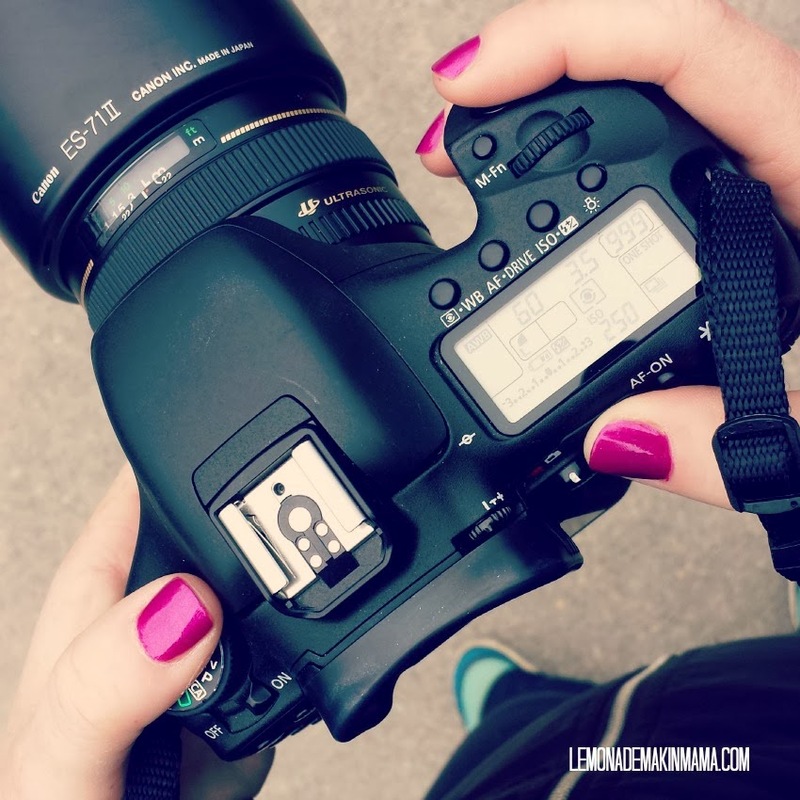 Love your beautiful photographs! Your daughter's hair does make her look older. :) I had a fabulous lunch out with a great girlfriend (yay! ), went with my son and husband to a fun Halloween shindig and got to sing on vocal team Sunday. PLUS a date night while my son's fabulous clinic provided a free parent night out. Great weekend! I love every single picture you take! They are gorgeous! I love reading your blog and the photos of your sweet children. SHOP HAPPY... and just talkin'.